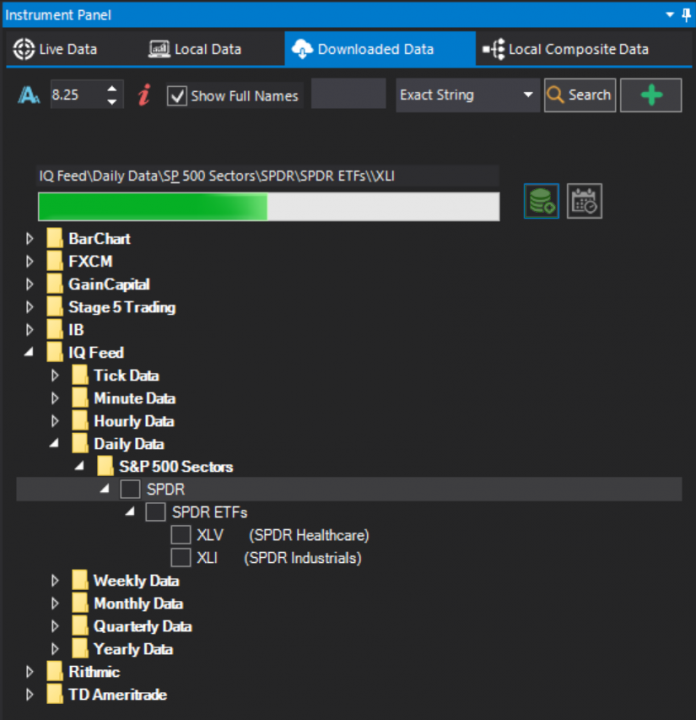 To avoid redundant data downloading during complex back-tests, the S-Trader allows you to store historical data locally in a small foot print file format. Tick, minute, hourly, daily, weekly, monthly, quarterly and yearly data can be downloaded from all integrated providers you have entitlements for. Once you set your downloaded data folder and file structure, you can download historical data manually, directly from the instrument panel. 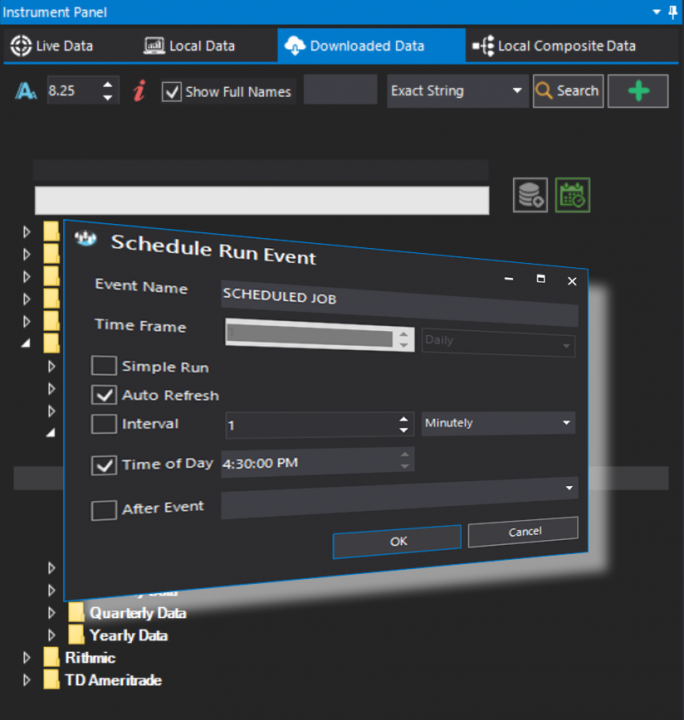 Alternatively, you can schedule historical data downloads to run at any time interval, any time of day or sequentially other scheduler jobs.